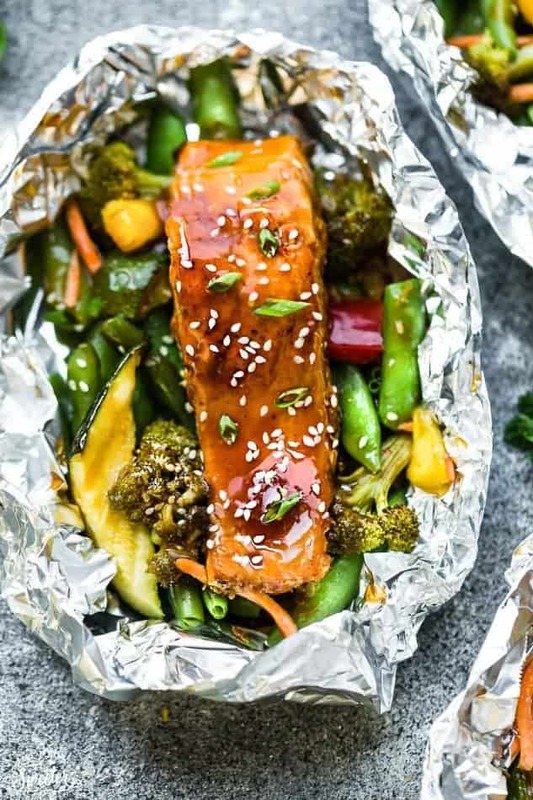 Teriyaki Salmon Foil Packets are a quick and tasty 30 minute meal. Great for summer nights, camping, and cookouts. 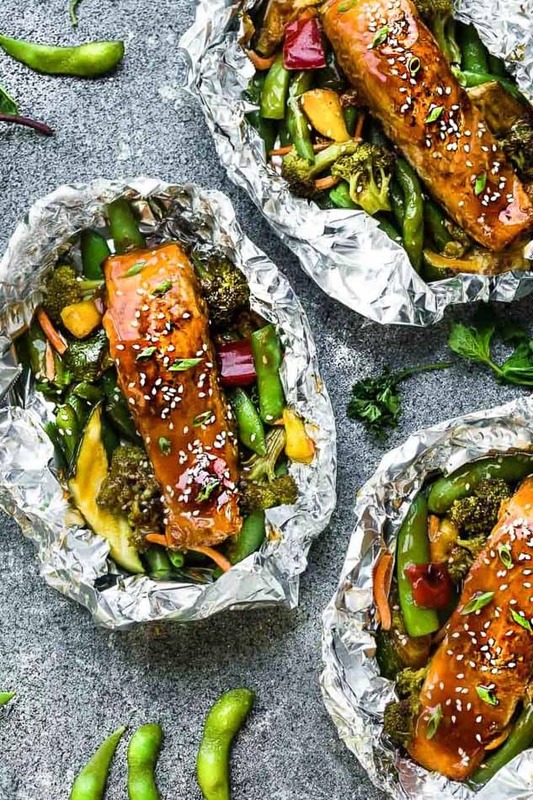 The flaky salmon and tender vegetables are covered in a sticky sweet and savory Asian-inspired sauce.